Please use the below map to find directions to our shul. The map is an interactive Google Map. The view of the shul from Fenwick road. Enter via the carpark and walk past the house. The shul complex is the building at the rear. The view of the shul from Maryville ave. The Shul can be reached by plane, train, bus or car. Local airports are Glasgow Airport, about 20 minutes drive from the Shul and Prestwick Airport, about 40 minutes drive. Travelling to Giffnock Shul by public transport. The Number 4 bus from Prestwick Airport to Glasgow passes the shul. The closest stop is at Montgomery Drive (stop 6120126.) This is the first stop after Eastwood Toll. The Shul is 170 metres from this stop in the direction towards Glasgow City. There is also a train service from Prestwick Airport to Glasgow Central Station. First’s Glasgow Shuttle provides you with the most direct service between the airport and Glasgow city centre. (Buchanan Street Bus Station) The service operates up to every 10 minutes, 24 hours a day, and takes approximately 25 minutes. The bus from this location that passes the Shul is the number 4 operated by “Stagecoach”. The bus leaves from stance 7. The journey takes about 25 minutes and you should get off at the Montgomery Drive stop, cross the road and The Shul is 170 metres from this stop in the direction towards Glasgow City. Take the “First Bus” or “City Sprinter” 38 or 38a Service from Union Street. ( This is the Street at the west side of the station) Please note other bus companies operate a 38 service which does not go to Giffnock, so check when you get on that the bus goes to Eastwood Toll. 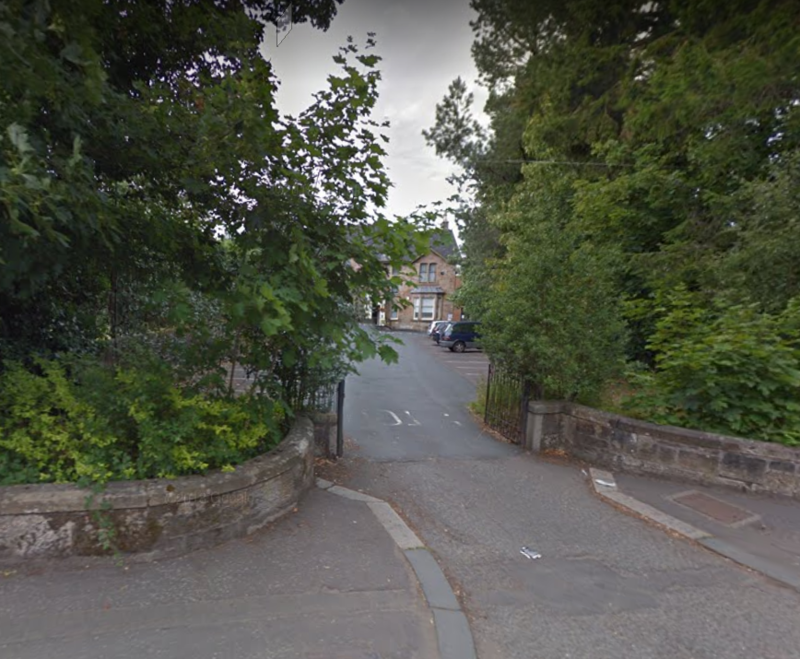 The journey takes about 25 minutes and you should get off at the Montgomery Drive stop, cross the road and The Shul is 170 metres from this stop in the direction towards Glasgow City. Trains run from Glasgow Central Station to Giffnock Station, on the East Kilbride line. 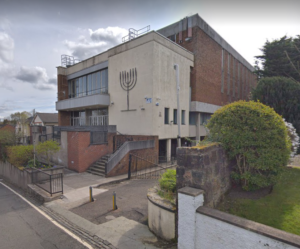 The journey takes about 15 minutes and the Shul is 550 metres from the station along Fenwick Road ( towards Eastwood Toll). You will have to cross over the train-track using the footbridge.